If you have any questions about the HARAMA II information page below please contact us. Being built by the Chantiers Navals De Lesterel yard in France the HARAMA II is 31 m 101 (foot) in length. Ready for launch in 1987 the comparatively traditional internal styling promulgates the stately ambience in the designing of Frederic Mechiche. 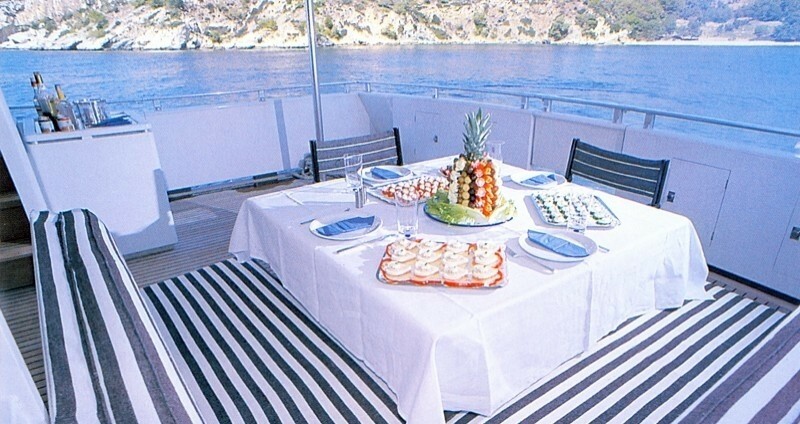 Superyacht HARAMA II can accommodate up to 8 guests with 5 qualified crew. The old, former or build project names were Equinox Delta. She can reach a maximum speed of 30 knots. Paolo Caliari was the naval architect involved in the professional superyacht design work for HARAMA II. Also the company Paolo Caliari and Andre Mauric skillfully collaborated on this undertaking. Interior designer Frederic Mechiche was charged with the internal internal styling. In 1987 she was formally launched to triumph in Cannes and post sea trials and detailing was afterwards handed over to the new owner. Chantiers Navals De Lesterel completed their new build motor yacht in France. A moderate area is manifested with a total beam (width) of 6.16 m or 20.2 ft. With a 2.23m (7.3ft) draught (maximum depth) she is reasonably shallow. 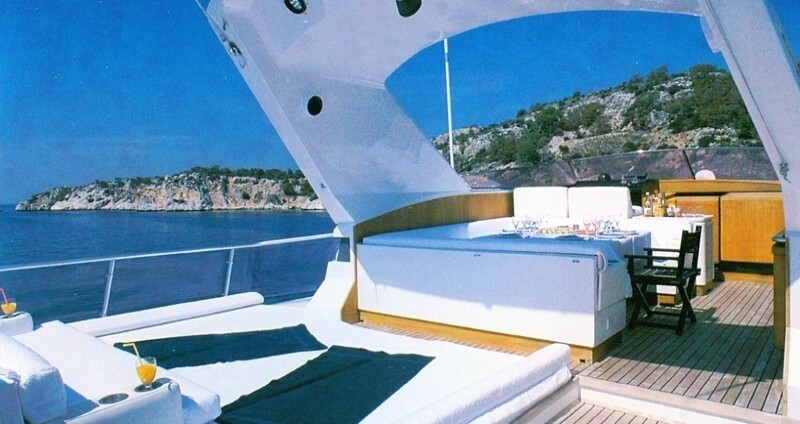 The material wooden was used in the building of the hull of the motor yacht. Her superstructure above deck is created out of mahogany. The 12V 396 TB93 engine installed in the motor yacht is made by MTU. HARAMA II is propelled by twin screw propellers. 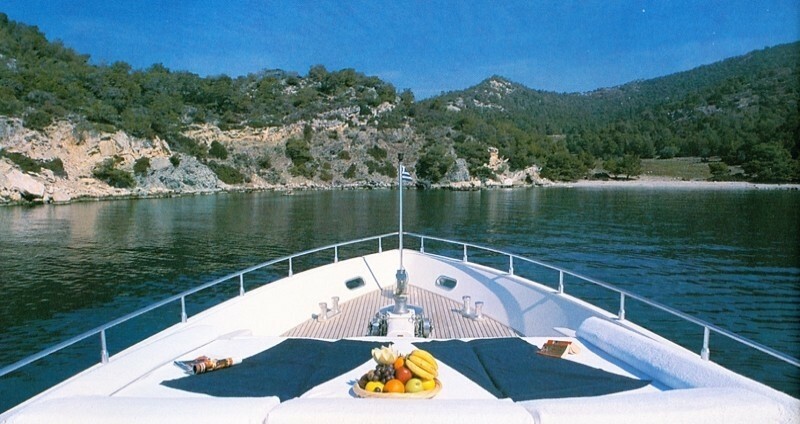 The engine of the yacht gives 1840 horse power (or 1354 kilowatts). She is equiped with 2 engines. The combined thrust for the yacht is accordingly 3680 HP / 2708 KW. 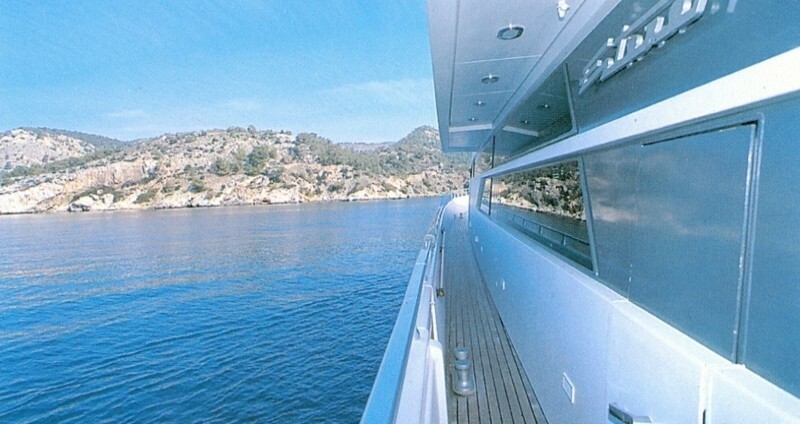 Bestowing quarters for a maximum of 8 visiting passengers overnighting, the HARAMA II accommodates them luxuriously. Normally the vessel has room for circa 5 proficient qualified crew to operate. Chantiers Navals de lEsterel S.A.
Main Engine(s) is two 1840 Horse Power or 1354 Kilowatts MTU. The Model type is 12V 396 TB93 diesel. Cruising at a speed of 26 knots. 600 at a speed of 14 knots. G&m 2 times 34 kilowatts. HARAMA II features a teak deck. 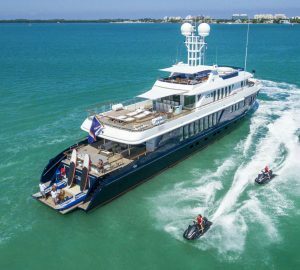 The luxury yacht HARAMA II displayed on this page is merely informational and she is not necessarily available for yacht charter or for sale, nor is she represented or marketed in anyway by CharterWorld. This web page and the superyacht information contained herein is not contractual. All yacht specifications and informations are displayed in good faith but CharterWorld does not warrant or assume any legal liability or responsibility for the current accuracy, completeness, validity, or usefulness of any superyacht information and/or images displayed. All boat information is subject to change without prior notice and may not be current.